After ten months, DreX is out at B96. As first reported by Robert Feder Friday, Entercom-owned WBBM-FM pulled the plug on the low-rated morning program. However, two of DreX’s co-hosts remain: Gabe Ramirez and Nina Hajian take over the morning slot effective on Monday. Ramirez was a holdover from the previous morning show with Jamar McNeil (now working in radio in Toronto) and Shelly Menaker (now at WKSC-FM.) Hajian came to Chicago from sister Top 40 station WBMP-FM in New York City after they flipped to Alternative in November 2017 as Entercom took over the former CBS Radio stations. Known as Kevin Buchar, Drex arrived at the contemporary hit radio station last April in hopes of boosting B96’s sagging ratings in the daypart. Coming from a long morning run at San Antonio’s KTFM, Buchar had a strong track record at competitor WKSC-FM (Kiss FM) from 2003 to 2010, the first five competing with B96’s longtime duo Eddie Volkman and Joe Bohannon, also known as Eddie & JoBo. But since the duo departed in 2008, B96 has had trouble replicating their success. Despite an eight-year absence from the Chicago market, DreX was hired mainly because he was a familiar name with radio audiences. But with him finishing outside of the top fifteen, it was clear the show wasn’t working. 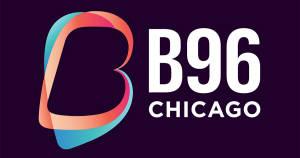 The move comes as B96 has struggled in the ratings for the last few years. Once one of the premier Top 40 outlets in Chicago and across the country, the station has recently recorded ratings not seen since the early 1980s, before the flip to “Hot Hits” and a Top 40 format in May 1982. The format itself is also floundering, as stations are depending less and less on urban and hip-hop acts, eroding minority listenership. Today’s move to install Ramirez and Hajian as permanent morning hosts however, suggests a format change is not in the cards – for now.